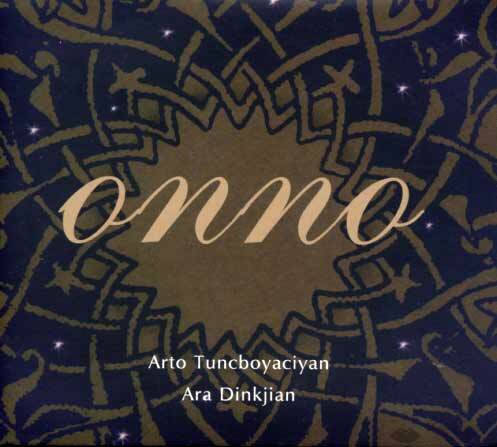 Arto Tuncboyaciyan dedicate the album 'ONNO' to the memory of his brother. According to Arto's opinion, the only way you can depict the dream of life is music, a dream from which when we wake, we will find ourselves again at the point where we started. Sazabo, duduk, percussion, oud, cumbus, keyboards and vocals compose the acoustic grounds on which Tuncboyaciyan moulds his music. Once again Ara Dinkjian (co-founder of NIGHT ARK) enriches with his sound the music of Arto.